Who hasn’t looked up on a clear evening and watched falling stars at least once in their life. Most meteors people see are sand grain-sized. A big, flaming streak across the sky from a brick-sized object is an event remembered. If the dragon is the archetype of ancient symbols for the comet – the classic harbinger of doom-and-destruction – then scattered fragments zipping into Earth’s atmosphere are its breath on the back of the neck. Meteors are the spine-tingling frisson of something bigger out there. An estimated 100 tons of meteoric material enters Earth’s atmosphere daily. With the ubiquity of digital cameras on dash cams, surveillance cameras and cell phones, large bolide events are captured regularly now. It is somewhat disconcerting to see how scary a large event can be. This event is the largest in recent times, but it pales in comparison with past events like Tunguska, and certainly to the ancient events that left craters around the world. The largest is Vredefort dome in South Africa. Measuring 185 miles across, scientists believe an asteroid blasted out the giant crater 2.02 billion years ago. The oldest known crater is found in Greenland. Believed to be 3 billion years old, it left a 62 mile wide impact zone from a meteor estimated at 19 miles in diameter. Most infamous of all prehistoric events is the Chicxulub crater, since it is widely thought to have caused mass extinction at the end of the Cretaceous period, 65 million years ago, ending the age of the dinosaurs. Its current size is 93 miles across, but some estimates put its original diameter at 150 miles. As simple as they may seem, meteors are not at all straightforward to understand. It has only recently been recognized that air-bursts are typical for larger meteors. Controversies over cometary, or asteroid origins of a particular events go on for decades. Whether some craters are from impact, or volcanic origin is also disputed. And Craters – Impact or Electric – Hard to Tell and The Antipodal Moon, are articles that discuss craters on the moons and planets of the Solar system that are odd, unless electrical discharge is considered. Conventional wisdom in the past, as well as physics, suggested the larger the rock entering the atmosphere, the more likely some of it’s mass will hit earth intact. Even though the stresses of heat and pressure that build while plunging into the atmosphere can break-up a large body, smaller pieces should slow and cool, to fall and leave a field of meteorite debris. Chelyabinsk and other historic events exhibit behavior that have caused many scientists to rethink meteor impacts – the apparent energy of the events and other strange phenomena. The anomalies indicate an electric influence not fully understood by mainstream science (because they think with gravity, which is a slow and ponderous way to think). The Daily Plasma will look at three events of recent times, and the mysteries of their occurrence through the perspective of Electric Universe theory: Chelyabinsk, Comet Shoemaker-Levy and in greater detail, Tunguska. We discussed in Electric Siberia, that the original estimate of the Chelyabinsk meteor’s size, based on observation, had to be upped by a factor of 1,000 when data streamed in showing it was 30 times more powerful than Hiroshima, on the order of a 500 kiloton blast. The power exhibited when Shoemaker-Levy struck Jupiter surprised astronomers, too. And the destructive energy of Tunguska, an order of magnitude bigger than Chelyabinsk – without leaving a crater, or meteorite debris – is still a puzzle after a century of scientific study. The screaming Chelyabinsk fireball glowed 30 times brighter than the sun at one point, burning the skin and retinas of those below. Only 0.05% of the original rock has been accounted for as debris. The largest piece was found in nearby Lake Chebarkul, weighing 650kg. It’s assumed intense heat and shock vaporized the rest. Most strange, however, is this meteor anomaly, in which the video clearly shows a bullet of plasma accelerating from the meteor tail, to out and beyond the meteor’s head. There is no “gravity” explanation, or exploding rock theory that can slingshot a chunk from behind, to ahead of the meteor. This can only be a plasma event. A meteor’s tail is plasma – ionized gas, both from the surrounding atmosphere and the ablating meteor material, not to mention the ionosphere it passes through – there is no controversy in this. The implication of a forward jetting plasma, however, is that an electrical field exists ahead of the meteor. The plasma bolt, or plasmoid seen shooting forward, is following an electric field, accelerated by magnetic fields, indicating the meteor is already in contact with a positive earth charge like a lightning bolt. Witnesses reported crackling sounds as the meteor passed overhead, which implies the sound traveled at the speed of light. Acoustic waves don’t go that fast. This phenomena is evidence of the meteor’s electric field instantaneously inducing sound by creating a static electrical response from objects on the ground as it passed overhead. The sound people heard is the static discharge from the objects nearby. Comet Schoemaker-Levy provided the scientists with surprises, too. One of which was the small amount of planetary water revealed during impact. Models of Jupiter’s atmosphere predicted fragments penetrating a layer of water that they would detect in the impact zone. Astronomers did not observe anything close to the predicted amount of water following the collisions, and studies found that fragmentation and complete destruction of the fragments probably occurred in a much higher altitude air-burst than expected, well above the depth of the water layer. Another anomalous finding came from radio observations that revealed synchrotron radiation from the region of the impacts. Synchrotron radiation is most often associated with high energy electromagnetic plasma instabilities and particle accelerators, where relativistic electrons interact at velocities near the speed of light. Following the impacts, aurora-like plasma emissions were detected near the impact region, and also antipodal to the impact site with respect to Jupiter’s magnetic field. Aurora’s are another electromagnetic plasma effect – and they were seen on the side of Jupiter’s magnetosphere opposite to the impact. Astronomer’s theory for the aurora is based on a somewhat convoluted process of reverberating shock waves between atmospheric layers of the Jovian atmosphere. But the antipodal event indicates an interaction between the comet’s electric potential and Jupiter’s magnetosphere, an expected phenomena for bodies of differential charge coming in contact. Tunguska is remarkable for its electrically induced phenomena. Its cause is widely believed to be an asteroid about 120 feet in diameter, traveling about 33,500 miles per hour. During its quick plunge, the 220-million-pound space rock heated the air surrounding it to 44,500 degrees Fahrenheit. At a height of about 28,000 feet, the combination of pressure and heat caused it to fragment and annihilate itself in an air-burst, producing a fireball with energy equivalent to about 185 Hiroshima bombs. The resulting shock waves registered on sensitive barometers as far away as England. Dense clouds formed over the region at high altitudes which reflected sunlight from beyond the horizon. Night skies glowed, and reports came in that people who lived as far away as London and parts of Asia could read the newspaper outdoors as late as midnight. Locally, hundreds of reindeer were killed, but there were no human deaths reported as an immediate consequence of the blast, although one individual did die later from injuries. The explosion created the effects of a magnitude 5.0 earthquake, causing buildings to shake, windows to break, and people to be knocked off their feet 40 miles away. The blast, centered in a desolate and forested area of mixed permafrost and semi-permafrost near the Podkamennaya Tunguska River in Russia, was so remote, that twenty years passed before the mineralogist and meteorite expert Leonid Kulik, from the St. Petersburg Mineralogical Museum finally reached the blast zone. On three separate occasions his expeditions investigated the area and obtained eyewitness accounts. The explosion leveled an estimated 80 million trees over an 830 square-mile area in a radial pattern from the blast zone. Because the object exploded high in the atmosphere, it left no crater. At ground zero, tree branches were stripped, leaving trunks standing up. But at distances from roughly 3 to 10 miles, the trees were blown over, lying with tops pointed away from the blast. The closest humans were herders camped in tents roughly 30 km from ground zero. Local Evenk natives who live an ancient, traditional life hunting, fishing and herding reindeer in the area were at first reluctant to discuss the event with the St. Petersburg scientists. Many Evenki’s seemed to believe the event to be a spiritually induced punishment – a curse on the region, and perhaps, carried a sense of shame. One older man was reportedly blown about forty feet into a tree, causing a compound fracture of his arm, and he soon died. 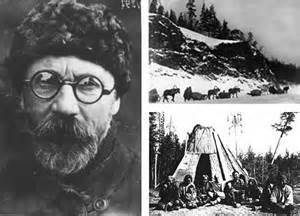 Hundreds of reindeer were killed and campsites and herder’s huts in the area were destroyed. Three initial blasts occurred, followed by one smaller one, and then a series of explosions and tremors which persisted for several minutes like an artillery barrage. An 830 square mile area of forest was completely flattened, with trees blown down radially away from a butterfly pattern impact zone. Areas within the zone are indicative of individual blasts from a cluster of at least four major explosions. Witnesses stated they watched “the sky split in two” and before impact saw a “blueish-white celestial body” in the sky. The only debris found so far that can be meteorite fragments are tiny glass nodules embedded in the fallen trees, which are consistent in makeup with stony asteroid fragments that have been super-heated. Glass nodules are also created by lightning and electrical discharge. (Recent searches in the area have turned up three small rocky meteor fragments from nearby streams, but experts point out that these could be common meteors from any time before, or since the Tunguska event and cannot be correlated to it). So where are all the fragments of the asteroid that was estimated to weigh some 100,000 tons? Vaporized, they say – or atomized into dust and tiny gravel. At first, scientists believed, because the meteorite did not strike the ground or make a crater, the object might be a weak, icy fragment of a comet, which vaporized explosively in the air, and left no residue on the ground. More modern analysis indicates a dense rocky body of a certain size range can also atomize in an air-burst, leaving few large pieces. In 1993 researchers Chris Chyba, Paul Thomas, and Kevin Zahnle studied the Siberian explosion and concluded it was a stone meteorite that exploded as it belly-flopped into the atmosphere. They claim the meteor experienced a strong mechanical shock that exploded in a fireball leaving only a cloud of fine dust and tiny fragments. The ground blast was the effect of the meteor’s shock wave propagating from the air burst. Some researchers of the Tunguska event dispute this. They claim the type of kinetic energy event described could not produce the kind of blast zone found at Tunguska. Any moving object has energy because of its motion. That energy is technically called “kinetic energy.” Kinetic energy is mathematically expressed by the equation, mv2/2, where m is the object’s mass and v its velocity. Because the velocity is squared, high velocity imparts huge energy to even a small mass. Think of bullets. Throw one and it bounces off the target, fire one from a rifle, and… well, you get it. Meteors travel 60,000 mph, or more, so that is very fast. According to the theory of an atomizing explosion, it is this kinetic energy that explodes the meteor. Victor Korobeinikov, a member of the Russian Academy of Science Institute for Computer Aided Design and a team of associates has shown a meteor’s kinetic energy alone could not have produced the Tunguska blast zone. They concluded the internal energy of the Tunguska meteor had to be involved siultaneous with its kinetic energy to produce the radially patterned forest fall. Kinetic energy alone could not “explode” quickly enough to create the observed effect on the trees. The hypothetical Tunguska air-burst meteor had to act like an enormous block of explosive. Korobeinikov concluded that the blast pattern required a predominately spherical air-shock wave to create it. The momentum of a kinetic energy induced shock wave from a disintegrating meteor must carry the momentum of the meteor, due to conservation of momentum. The simulations showed this type of shock wave produced a conical blast pattern. To achieve the spherical pattern of Tunguska required practically all of the air-shock to be produced from a complete and instantaneous explosive release of its internal energy. The models also showed the epicenter should have experienced extremely high temperature from a kinetic air-burst and incinerate any organic materials at the epicenter. Yet many groups of trees survived in the blast zone and many trees showed no evidence of any burn, while ignition of wood bedding was reported up to 34 km away. 15 micrometer anhedral carbon particles that are likely micro-diamonds, that show a chemical make-up representing terrestrial values, and not an extraterrestrial signature. Micro-diamond are an expected result of an explosive plasma discharge event. Also, in 1908, German Professor, Herr Doctor Weber of the University in Kiel, was monitoring the magnetosphere for auroras. As he recorded in the Astronomische Nachrichten (Astronomical News), he didn’t detect aurora, but he measured a constant, steady vibration in magnetic declination for several hours over the same daily time periods three evenings prior to the Tunguska event. The signal ceased after the event. He ruled out local interference. Andrei Yu. Ol’khovatov, a Russian scientist, has proposed the interesting and plausible theory that Tunguska was a geophysical event caused by tectonic processes. He analyzed the nature of earthquake tremors, as reported following Tunguska, and concluded they were not caused by the meteor blast, but were the cause of the event itself. He points to the many eyewitness reports of odd luminous phenomena, such as light columns, stripes, lightning, flames and the sky glowing red, rather than the witnesses claiming a streaking meteor with a tail. According to his research, no one reported a trail of any kind behind the “fireball” in the sky, as would be evident from a large meteor. An unusual glow in the sky was first observed days before the event. Beginning on June 23, 1908, atmospheric phenomena were observed in many places of Western Europe, the European part of Russia and Western Siberia indicating geomagnetic activity. They gradually increased in intensity until June 29 and then reached a peak in the early morning of July 1st. These anomalies included frequent formation of noctilucent clouds and bright auroral twilight. After July 1, these effects decreased exponentially. A surge in tectonic activity can produce various optical effects in the atmosphere: luminous columns, stripes, lightnings, flame, glowing sky, etc. Exploding “meteors” are among them. Tunguska witnesses reported three different trajectories depending on where they stood, which is evidence of an earthquake event. Each of the witnessed trajectories is above a main tectonic fault, according to Ol’khovatov. The eastern trajectory superimposes on the Beryozovsko-Vanavarskii fault, the south-eastern trajectory projects on the Norilsk-Markovskii fault, and the southern trajectory is over the Angaro-Khetskii and Angaro-Viluiskii faults. They intersect inside the Vanavara circle geologic structure. Ol’khovatov also points to reports of simultaneous auroral glows along these faults far from the immediate blast zone and near other major geologic features. He believes earthquake lights – plasma phenomena in the atmosphere caused by tectonics – are what witnesses saw emanating from the faulted regions, not an extraterrestrial bolide. This explains the various trajectories reported and other un-meteor-like observations. A study in the journal Seismological Research Letters studied the type of quakes that generate plasma events and found they are tied to a specific type of temblor in areas where certain geological formations occur. Though the lights are rare, researchers have documented 65 examples. A witness described one event that occurred while he was sitting in front of his house during a cool night. Suddenly the air got so hot that he couldn’t breathe. The extreme heat lasted for 20 minutes when a bright light lit the whole ground like sunshine, as if a “chamber had opened in the sky.” Next he heard a great noise like thunder, and the air moved left and right. 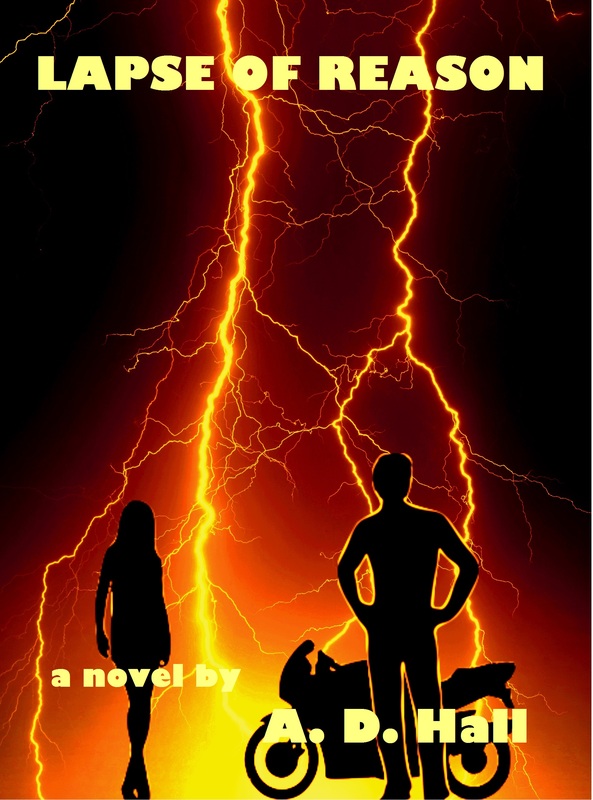 Four shocks lifted him and others out of their seats, and the buildings around them collapsed, less than 30 seconds after the bright light appeared. Earthquake aftershocks lasted for 40 days. At the Russian town of Kola, February 21, 1873, witnesses say the sky darkened and an enormous crimson fireball came from the eastern sky and vanished in the west, immediately followed by an underground jolt that kept shaking the earth for 5 minutes. Another “meteor” flew at low altitude in a blast of wind over the Russian town of Chembar on January 4, 1886, exploding on the road outside of the town with a loud thunderclap and killing an innocent horse. The frightened coachman said a fiery serpent killed the horse. About 15 minutes after the explosion an earthquake struck the town. 1931, Tama Hills, Japan during an earthquake “a fireball rose in the sky and disappeared. A sound like ‘Bah’ was heard.” The lower sky was colored pink-red for some time afterwards. 1931, South Hyuga, Japan, during an earthquake a fishing boat 50 km off-shore began to pitch violently before a large pillar of fire shot up from the surface of the sea. In the mid-1960s at Matsushiro, Japan, earthquake lights were photographed for the first time. 1974, Kiangsu Province, China, immediately before an earthquake hit people saw a bright streak in the sky, with sparks of lightning dancing across it. The spectacle went on for 3-4 seconds. 1975, Liaoning Province, China, fiery columns, balls, and a “flame” shot into the sky at the time of the earthquake. 1976, Hopeh Province, China, the Tangshang earthquake was preceded by a bright flickering light in the distance, said witnesses. Instantly it transformed from red to silvery blue, and then lengthened into a blinding white strip that darted across the sky and went out immediately. At the time of the earthquake an engine driver saw lightning in the form of 3 blinding light beams, followed by 3 mushroom-shaped smoke columns. 1976, Lunling, China, two Chinese seismologists observed a fireball about 50 meters in diameter, 200 meters away for almost half an hour. 1988-1989, Quebec, Canada, in connection with the swarm of earthquakes many luminous phenomena including sparks, diffuse dawn-like glow and auroral bands were witnessed. Fireballs a few meters in diameter reportedly popped out of the ground in a repetitive manner. Others were seen several hundred meters in the sky. Some observers described luminous droplets, rapidly disappearing a few meters under stationary floating fireballs. 2007, Pisco, Peru, a naval officer saw pale-blue columns of light bursting four times in succession out of the water as a magnitude-8.0 earthquake struck. Security cameras in the city captured images of the lights as well. 2009, L’Aquila, Italy, seconds before an earthquake pedestrians saw flames of light 4 inches high flickering above the stone-paved Francesco Crispi Avenue in the town’s historical city center. Some events have been witnessed by scientists. Chinese seismologists observed a small fireball originate from the ground 100 meters from where they stood. At first about one meter in diameter, it shot up to a height of 10 or 15 meters and shrunk to ping-pong-ball size, then curved over in an arc, resembling a meteor. The light dimmed and brightened, small wisps of white smoke swirled, and a slight crackling sound was heard. A small funnel-shaped hole in the ground was found at the place where the fireball appeared. In 2002, a meteor exploded over the Vitim River basin estimated to produce a 5 kiloton blast. Researchers found a 40 square mile area flattened much like Tunguska, where the meteor was found to have exploded overhead. Most unusual, the area was suffering a power blackout during the strike, but when the meteor flashed overhead, the grid was activated by the electrical field of the meteor. Residents’ lights flickered on a few seconds, while crackling was heard and electrical discharges sparked along the tops of metal fences. Many people reported effects of radiation. In general earthquake lights can manifest as comet-like fireballs, pillars of light, a shooting flame, spheres, patches and bands in the sky, all-sky luminous flashes, auroras, odd clouds exhibiting colors and sparks, black objects and many others. They are often reported as UFO’s. That comet Shoemaker-Levy was, in fact, a comet, or that Chelyabinsk was a fragment of one, or a chunk of asteroid, is not really at question. The understanding of what comets are and what kind of “impacts” they, or asteroids can cause when screaming into Earth’s atmosphere is interpreted differently, though. The EU solar model is that the Sun is not a fusion balloon as suggested by accepted theory, but an anode, or positively charged body in a negatively charged “atmosphere” – the heliosphere – energized into a stable arc discharge from vast electromagnetic currents in the Milky Way. The Earth is also a charged body, with it’s own electromagnetic field that receives energy from the Sun’s radiating currents. We see these currents at the magnetic poles, where they occasionally are energized to a glow mode, or aurora when solar “winds” are strong. The mechanism that carries current across vast distances in the vacuum of space are plasma streams called Birkeland Currents. That the polar aurora are Birkeland Currents was discovered and published by Kristian Birkeland in, coincidentally, 1908, the year of Tunguska. In this model, there is little difference between an asteroid and a comet. The idea that comets are fluffy ice balls is an unnecessary convention of mainstream science to explain things they don’t comprehend. Both asteroids and comets are rocky bodies, and direct observations by exploratory spacecraft confirm this with every new piece of data. The difference is in the degree of negative charge they carry. Comets orbit the kuiper Belt in the far reaches of the heliosphere and are, therefore, far more negatively charged than an asteroid that orbits in the inner Asteroid Belt. When a comet enters the increasingly positive influence of the Sun, it begins to electrically erode, producing the iconic tail that streams away in the solar wind. The consequence is that the meteor’s energy includes this charge differential, so when it approaches Earths influence there is a discharge between the meteor and earth. The energy is far greater than the kinetic energy of the meteor alone. It is also vectored along the electric field created between earth and the meteor, as well as throughout the geomagnetic field to deliver that energy to earth. This explains why Chelyabinsk and Shoemaker-Levy surprised researchers with their power. The energy released not only includes the kinetic and internal energy of the meteor matter, but the responding energy of the Earth. The plasma events, such as synchrotron radiation and auroras are a natural consequence of such an event. So too are tectonic responses from the Earth’s internal geomagnetic field. This can explain the spherical blast pattern of Tunguska and the anomalous seismic, aurora and lightning phenomena witnessed. It can explain the selective burns in and near the blast zone, which is very hard to explain otherwise. The mainstream theory of an air-burst shock wave would scorch the blast zone completely, which did not happen. It is likely Ol’khovatov is partly correct in the tectonic origins of the Tunguska event. More likely, a bolide was involved, but in an event that occurred while geomagnetic influences were already at work, perhaps because of the meteor’s approach. If you enjoyed this article, please “like” or leave a comment. *For details see “Geophysical Research Letters” v.25, p.2721 (1998).